This picturesque hotel, once a 17th century inn, has an excellent reputation for comfort, cuisine and friendly service. The Alpenhotel Kramerwirt is owned by the Kröll family who have been welcoming our guests for many years and have created here a wonderful atmosphere in the finest traditions of Tyrolean hospitality. 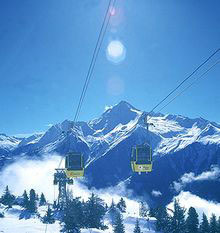 The hotel is located in the centre of Mayrhofen, just short walk to the gondola stations, with a ski bus stop outside. 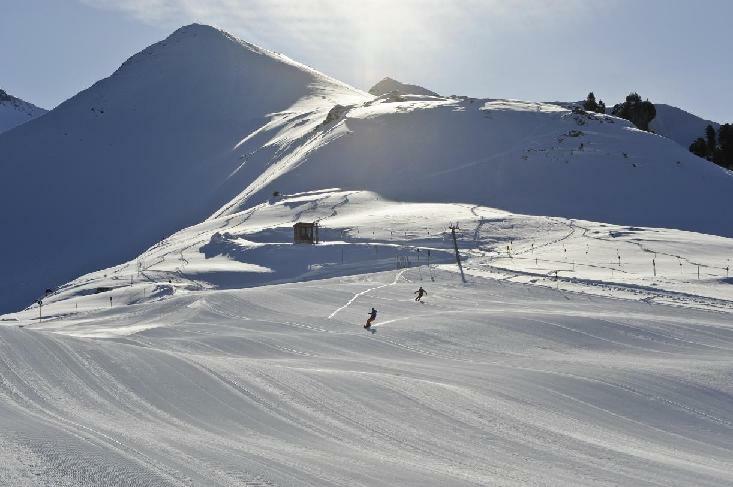 Alpin Garni Eder N/A The Eder is in a quiet location on the outskirts of Mayrhofen town centre with many rooms overlooking a forest and close to the Ahorn gondola. The hotel has been fully refurbished in the last few years and all the rooms are individually decorated - from classic Alpine style to modern design. Offered on a bed & breakfast basis allowing you to explore this popular resort during the evenings. Very popular with our guests, the Berghof is a traditional hotel representing great value for money in the heart of the village, with a welcoming wood-panelled lounge and cosy bar with open fire. Recently refurbished combining tradition with modern features, the superior Elisabeth Hotel shines in a new light, with a superb modern spa and leisure area, restaurant, bar and refurbished bedrooms. 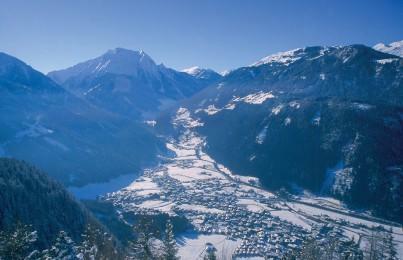 Located in a quiet, yet central part of Mayrhofen, it is very easy to access the ski areas. The hotel prides itself on its offering of a 'Premium, Private Retreat'. Landhaus Mayrhofen N/A The Neuhaus' main hotel is made up of two interconnected wings - the original Neuhaus and St Josef. The 3 star Landhaus Mayrhofen annexe is about 50 metres away and the Landhaus Mayrhofen you'll still get the same great Neuhaus service, but the rooms are just a little more simple. You eat all your meals in the main hotel with a good selection of dishes available. 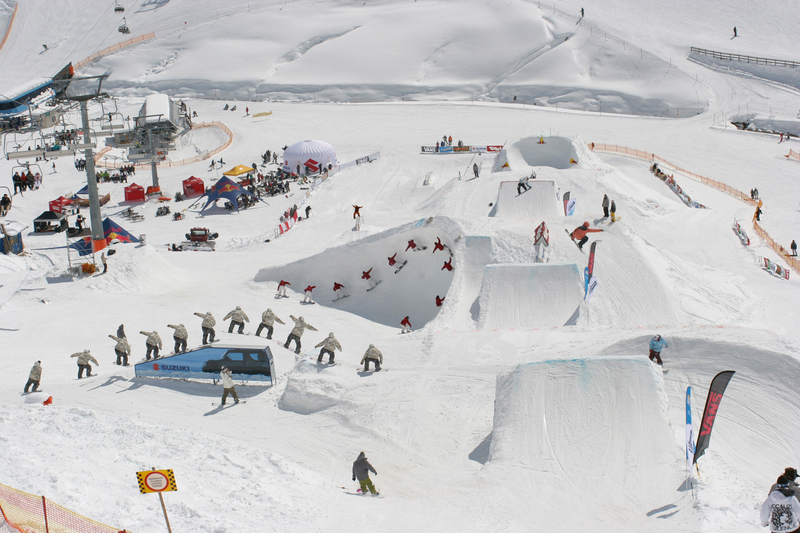 The Neuhaus complex has entertainment and wellness facilities to keep you occupied whilst you're not on the slopes. A wonderfully traditional building full of charm and character, the Hotel Neuhaus and the Moigg family have built up an excellent reputation for food, service and facilities. 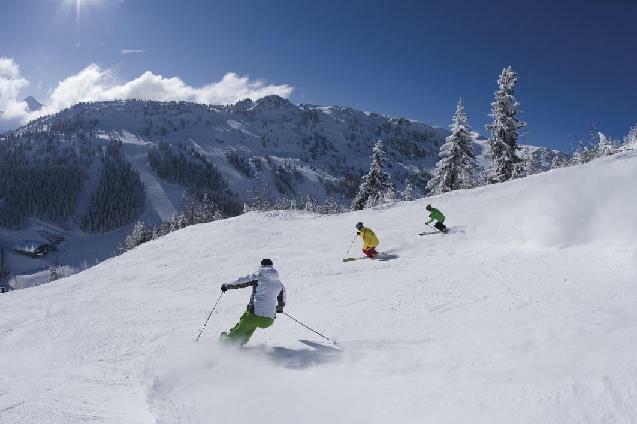 The hotel is located just a few minutes walk from the main Penken lift, opposite the train station and ski bus stop, making it very easy to get out and explore the vast Zillertal ski area. Neuhaus Landhaus Annexe N/A The Alpendomizil Neuhaus Hotel & Spa is a self contained mini-village at the bottom of Mayrhofen with everything you need for a five star holiday. The 3 star Landhaus annexe is about 50 metres away and is a great way of experiencing one of Mayrhofen’s best hotels for less. You'll even eat all your meals in the main hotel! Enjoying a central location, Hotel Rose is a friendly, family-run hotel, popular with British guests. The Penkenbahn gondola is 500m away and the ski bus stops directly outside. 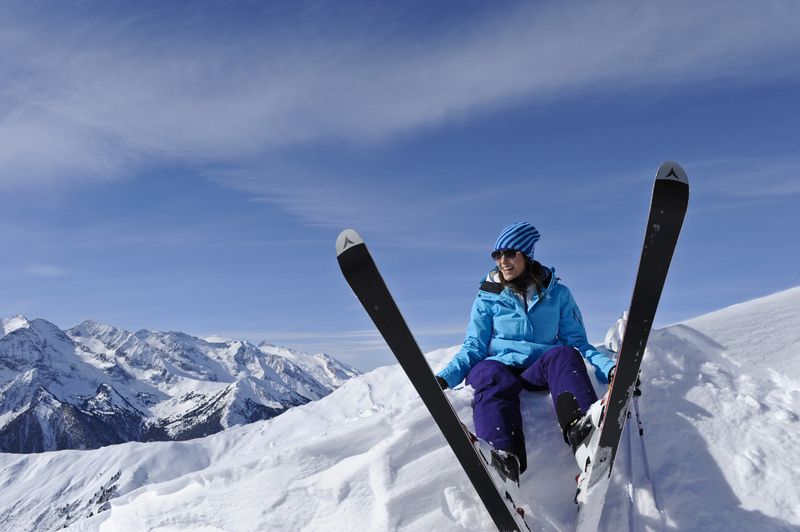 The hotel's wellness facilities coupled with good food are a definite plus after a hard day's skiing. Run by the Roscher family, this modern and stylish hotel has been a firm favourite with our guests for many years. Impressive and welcoming, they are a good choice for those seeking a lively hotel offering a variety of entertainment and an excellent range of leisure facilities. 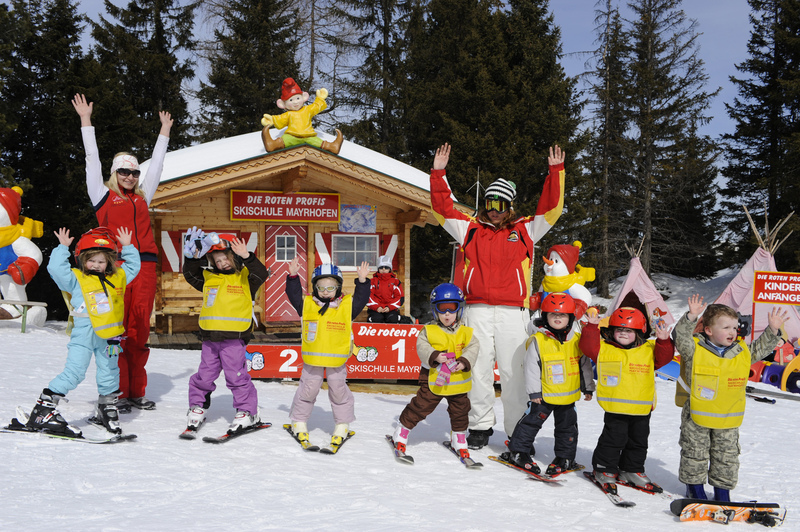 Adjoining the Sporthotel, the Hotel Strass enjoys an ideal, central position in Mayrhofen directly next to the Penken gondola, and is a good choice for those seeking a lively hotel offering a variety of entertainment. There hotel has an extensive range of leisure facilities including swimming pools, spa areas, bars, nightclub and family facilities. The Strass Garni is the excellent value extension to the Sport & Spa Hotel Strass - all linked by panoramic glass bridge to the popular main hotel. You're virtually on the doorstep of the Zillertal's most famous link to the mountains - the Penken gondola - plus you're right in the heart of Mayrhofen's busy centre. Dining is also taken over the bridge - and the food is excellent. The Strolz is a lovely traditional hotel which prides itself on the comfort and excellent home cooked cuisine. Rooms are available in the main hotel or annexe, with all meals taken in the main hotel. Set back from the bustle of Mayrhofen resort centre, and yet only a short walk away with a ski bus stop closeby. This traditional and typically Tyrolean hotel offers a home-from-home atmosphere and is run by the friendly Strolz family provide a great welcome to our guests with hospitality and good food. Rooms are in the main hotel or guesthouse which is only a few metres away. All meals are taken in the main hotel. With a superb location and full use of the facilities at the Sport & Spa Hotel Strass complex at your disposal - including a wellness area with indoor pool, steam room and tropical showers - the Villa Strass is a great value choice. This annexe is only 30 metres away from the main hotel. Alpenland N/A The apartments are located just outside the centre, 5 minutes’ walk into town and to the main gondolas – so you can be on close to the action whilst still having a quiet place to rest your head. Inside, the apartments are immaculately clean and decorated in simple Alpine style, with wooden furniture. They each have a kitchenette, with different amenities depending on the type, so you can choose which one suits you best and the supermarket is only a short walk away. The Berghof is a traditional Tyrolean style property offering a warm welcome, comfortable accommodation and some fantastic facilities including indoor squash & tennis courts. A quite exceptional and highly-appealing adult-only hotel, fusing gorgeous traditional features with highly contemporary décor. The Elisabeth hotel is the perfect choice for the discerning guest that is seeking high-end accommodation, first-class service and excellent facilities, a short walk from the centre of Mayrhofen and the ski lifts. The Hotel Elisabeth combines an ideal position close to the resort centre with high standards of comfort, gourmet cuisine and exceptional service. The hotel has recently expanded its superb facilities. This wonderfully relaxing area includes a Finnish sauna, bio-sauna, steam room, rock-salt bath, infrared cabin and sensory shower. Gasthaus Pramstraller N/A Gasthaus Pramstraller is located at the end of the mail street in Mayrhofen, approximately 400m away from the Penken gondola and close to Mayrhofen’s fantastic après-ski bars. An extremely cosy hotel offering simple accommodation with excellent service and a friendly ambience. This popular guest house is ideal for groups of friends wanting to make the most of Mayrhofen’s extensive ski area and nightlife. 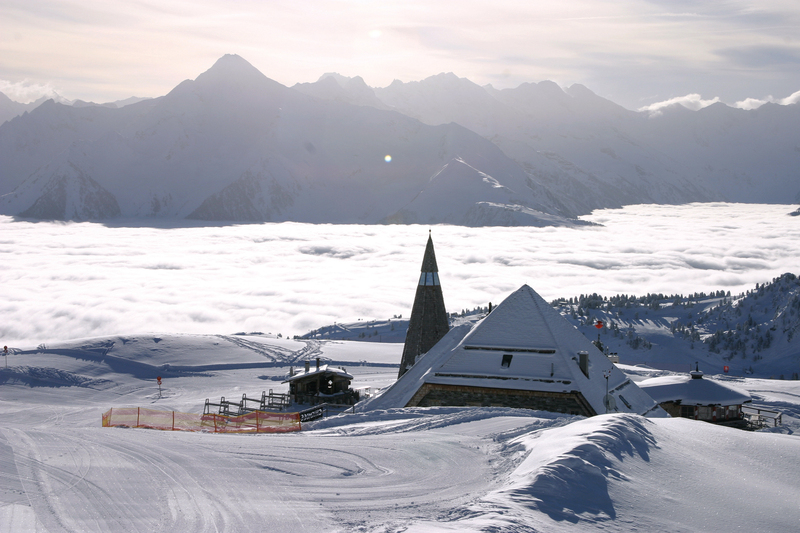 Huber’s Boutique N/A The first boutique hotel in the Zillertal Alps, it combines chic décor with a family-run ambiance. The hotel is in an enviable location in Mayrhofen, in a quiet little bubble by the river, just a couple of minutes’ walk from the main shopping, dining and nightlife. The Penken gondola is just 3 minutes’ walk too, and the Ahorn gondola is 5 minutes’ beyond that. The dining room serves a delicious selection of international and locally inspired cuisine. Kirchenwirt N/A The Gasthof Kirchenwirt is located in the centre of the picturesque village of Zell am Ziller. 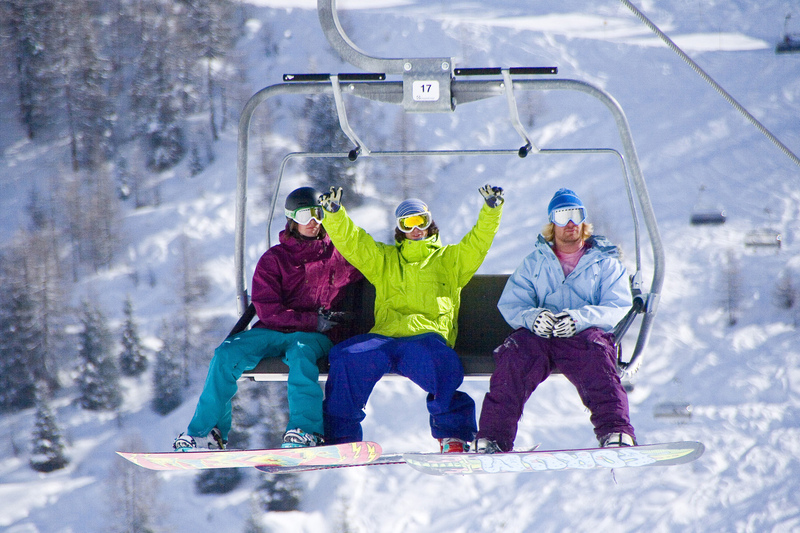 The ski bus stop is located outside the hotel, giving you easy access to the Zell am Ziller ski area and the railway station that connects Zell am Ziller with the Mayrhofen ski area. Kramerwirt N/A This attractive, traditional hotel at the bottom of the high street dates back to the 17th century and is full of history and character - a first class hotel in the centre of Mayrhofen with a well earned reputation for comfort and good cuisine. Centrally situated on the main street, this picturesque hotel, once a 17th century inn, has an excellent reputation for comfort, cuisine and friendly service. Maria Theresia N/A The Hotel Maria Theresia is simply a great hotel. It may not be the swankiest all singing, all dancing luxury hotel. But what it does, it does well. The breakfast buffet is delicious, far superior to any normal 3* buffet. When staying at the Alpendomizil Neuhaus Hotel & Spa, it's easy to forget you're actually staying in Mayrhofen as you'll never need to venture too far. The Neuhaus is made up of several different buildings around a square to form its own mini-village. The main hotel is made up of two wings - the original Neuhaus and the St Joseph – which have both had their rooms renovated and are interconnected by underground passageway. Pension Elisabeth N/A The Elisabeth is a pretty simple affair - a warm, comfy bed for the night and a tasty continental breakfast to prepare you for a day on the slopes. You'll also have a telly, your own en suite bathroom, a balcony, somewhere to stash your skis or snowboard and a friendly host. Pension Ferienhof auf der Wiese N/A For a genuine Tirolean skiing experience - the rustic Ferienhof auf der Wiese is a great little option. Literally translated as the Holiday Farm on the Way, Auf der Weise is a little away from town in its own snowy meadow - in fact it's away from pretty much everything so you should get a nice and peaceful sleep. Pension Kumbichlhof N/A We love the location of the Pension Kumbichlhof. Both the Ahorn and Penken gondolas are around five minutes on foot, along with the centre of town, but it's tucked away on a quiet sidestreet so you should be in for a peaceful night's sleep too. Posthotel N/A A change is afoot at the Posthotel Mayrhofen. Formerly known as the Postschlössl, the hotel was getting a little tired, so in stepped the Moiggs, the family in charge at one of Mayrhofen's top hotels - Alpendomizil Neuhaus. 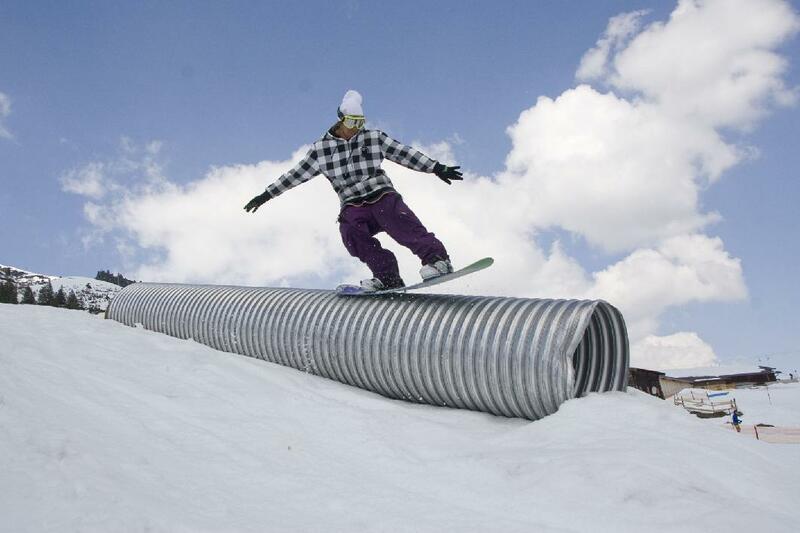 There's a lot of revamping going on ready for the 2014/15 ski season - and it's not just a lick of paint. Plans include a new lift and sauna area. Schrofenblick N/A The Schrofenblick has pretty much everything you will need while away. There's a lovely little wellness area complete with saunas, steam baths and relaxation areas. The hotel's friendly bar area is a great place to kick back in the evenings. Food is also very highly regarded at the Schrofenblick. Evening meals make the most of fresh local produce - reinventing Austrian classics and international favourites - spread over five courses. St Georg N/A The charming St. Georg is a traditional 4* hotel situated in a quiet yet convenient location around 5 minutes walk from the Penken and Ahorn gondolas and the centre of Mayrhofen. In addition to the hotel restaurant, you'll find a lobby bar and a spa/wellness area with indoor pool, sauna, solarium and steam room. There are 35 bedrooms and guests can choose from standard, comfort or deluxe, all with good facilities. Zillertalerhof N/A A traditional Austrian hotel centrally located, 500m from the Penken gondola. Furnished to a high standard and offering great facilities including a Wellness area, the Zillertalerhof is perfect for après ski relaxation at the end of the day.